What to do when a Hurricane Hits. 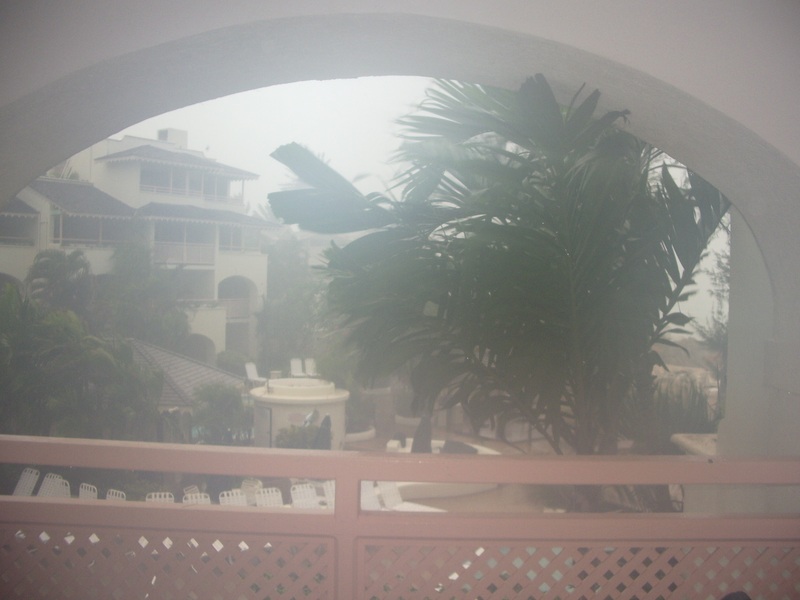 Having lived on two Caribbean islands, I’ve had first-hand experience of surviving several hurricanes. This includes being in Jamaica when it was hit by force 5 Hurricane Ivan in 2004, and later coming home to a flooded house after Hurricane Tomas in St Lucia in 2010. Here I give my advice on what to do if you find yourself living in the path of giant storm. The title of this post might be what to do when a hurricane hits, but really you should start your preparation long in advance of the moment the storm reaches you. There’s no excuses not to be prepared these days – if you move to a part of the world where hurricanes, typhoons, cyclones or other large storms are a common occurrence, you’ll know it. You should be prepared from day one. Additionally, modern weather prediction means you will usually know at least a few days in advance if you are likely to be in the direct path of the storm– and whether it’s picking up or losing power as it approaches. So what can you do to make sure you are ready – and then survive the storm if it does hit? If you are moving to a country where extreme weather events are a common occurrence (the Caribbean, parts of Southern USA, the Philippines, Japan all being good examples), then make sure you have everything you need for the day that inevitable storm arrives. Basics include torches and batteries, baby-wipes, essential medicines, nappies or formula if you have a baby. Keep a supply of non-perishable food and bottles of water year round, separate and away from your usual store cupboard (so you won’t be tempted to raid it and then forget to re-stock!). If you can, add a small camp stove or similar – something that can at least boil some water and heat up a tin of beans. Not only are you likely to be confined to the house for the duration of the storm, you may also be without electricity for a few days. A good first aid kit is important. Hopefully you won’t need it, but there can be a lot of flying debris during a hurricane so it’s better to be able to treat any minor cuts and bruises yourselves rather than attempt to get to a doctor or hospital. You should also check to make sure your health insurance covers you for weather events like a hurricane and if not whether you need to take out extra insurance. Closer to the dates when storms are most likely to occur, make sure you know any local evacuation routes. If you need to, do you have a way to keep in contact with others in your family? Phone lines and mobile coverage might be effected. What about schools – what are their plans during an evacuation situation? How will they contact you if they need to? Check over your food and water store and re-stock if necessary. 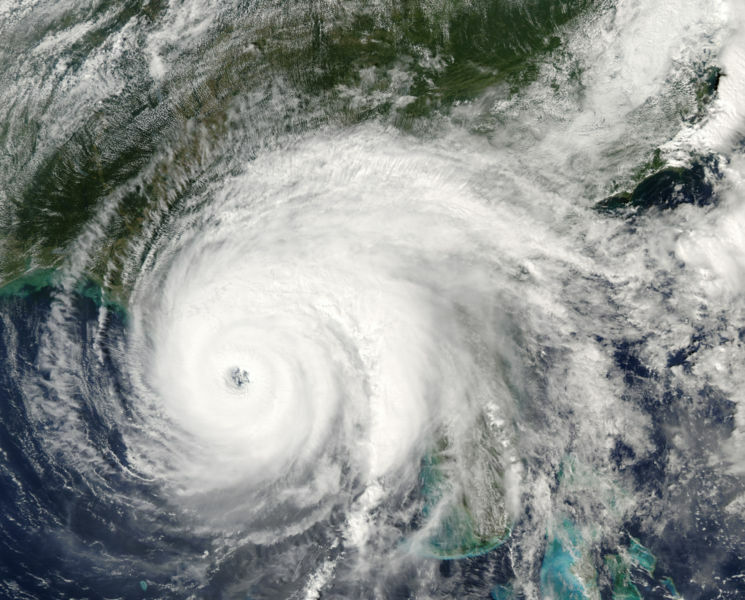 You should have good notice if a hurricane is heading towards you – most of these storms start out of sea and only become a threat once they start to reach land. The Weather Channel, the National Hurricane Centre and other sources are all good predictors of what is heading where and how hard it will hit. As soon as it looks like one might be coming your way, fill your car up with petrol in case you need to evacuate, check the car over and if possible put it somewhere safe and under cover. If you need to, stock up with extra food and water. You may want to board up your windows – if you haven’t already done so, now is the time to buy the boards (before they sell out) and work out how to get them up. Within 24 hours of the storm’s predicted arrival, put up your boards and move any outdoors furniture you have into your house. Move as much of your furniture as possible into the centre of every room. If flooding is likely, also move as much as you can off the floors. Collect together any important paperwork (passports, insurance papers etc) and put them into something waterproof. If you think evacuation is a possibility, pack a bag for everyone in your family (don’t forget pets! ), including all the important paperwork. Looting is always a possibility in homes abandoned in an emergency so try and think what you might want to take with you – although bear in mind where you will be going. Keep listening to all broadcasts on the radio and television. Decide which part of the house is the safest – this should be somewhere with the fewest windows so if you have an interior room like a bathroom you might want to think about setting up home in there in case things get really hairy. Stock it up with pillows, books, games – it may be a long night. Fill your bathtub(s) and sink with water. Don’t go outside, stay away from windows and in no circumstance try and fix fallen cables or similar. If necessary, turn off your power supply (if it hasn’t already been switched off by the authorities). You might feel safer in the windowless room – even if it’s just for a few hours. If you do still have electricity, keep listening to all broadcasts. If you are told to evacuate, follow instructions. There may be a lull as the “eye” of the hurricane passes over; this might not last long so be careful if you do go outside and don’t venture far. Once you are sure the storm has passed and it’s safe to go out, check around your property for damage and if necessary call in on any neighbours who might need extra assistance to make sure they are okay. Once power is restored, listen to news for roads that have been blocked or airports closed. It may take a few days for things to return to normality and of course for some people it never will. Hurricanes can be difficult for expats but devastating for locals who live in far less secure and solid housing. This is the time to give back to your host nation – check whether any of your local staff need assistance, or help with fund-raising efforts. Have you lived through a hurricane, typhoon or other major weather event? Do you have any tips to add to these? Or would you like to tell your story on this blog? If so please get in touch: leave me a message or email me clara@expatpartnersurvival.com. This blog post was first published on the Medibroker website http://www.medibroker.com/blog/. Have you ever dealt with an “extreme weather event”? My column this month for the Expat Focus website talks about the weather. How very British! We love the weather in this country, I would go so far as to say it’s a national obsession. But actually it’s not something I gave a huge amount of thought to until I moved elsewhere. In the article, I talk about how it was only when I was living and travelling in New Zealand – an “outdoorsy” place if ever there was one – that I really started to understand why it is important to figure out the weather. Hiking, diving, even tandem-parachuting: these were all activities undertaken by me without much thought to whether the weather would be in our favour or not. But after a few close calls (we probably really shouldn’t have done that dive – or that freezing cold walk wearing just our shorts…), I started to understand that getting to know a bit about wind direction, precipitation levels and thermals (and no, I don’t mean thermal underwear) wouldn’t be a bad thing. Fast-forward a few years and I was living in the Caribbean. Now this is one place where you really can’t avoid having at least a passing understanding of what the weather has in store for you. At least, during hurricane season. And boy did I ever learn this the hard way! First, in Jamaica, there was Hurricane Ivan (a force 5 that clipped the coast), then there was Dennis, with Emily close on it’s heels. And later still, living in St Lucia, there was Tomas. Now we were in a much better position than a large percentage of the islanders, living as we did in solid homes with proper concrete walls. Sadly, there were a large number of deaths during these storms – Ivan in particular wrecked some of the islands completely. But it was still a terrifying thing to go through. We were stuck indoors for at least 24 hours (in the case of Ivan) and only ventured out when we were sure there wouldn’t be any more tree branches being thrown around in the wind. The devastation was awful, and the clean-up took days. 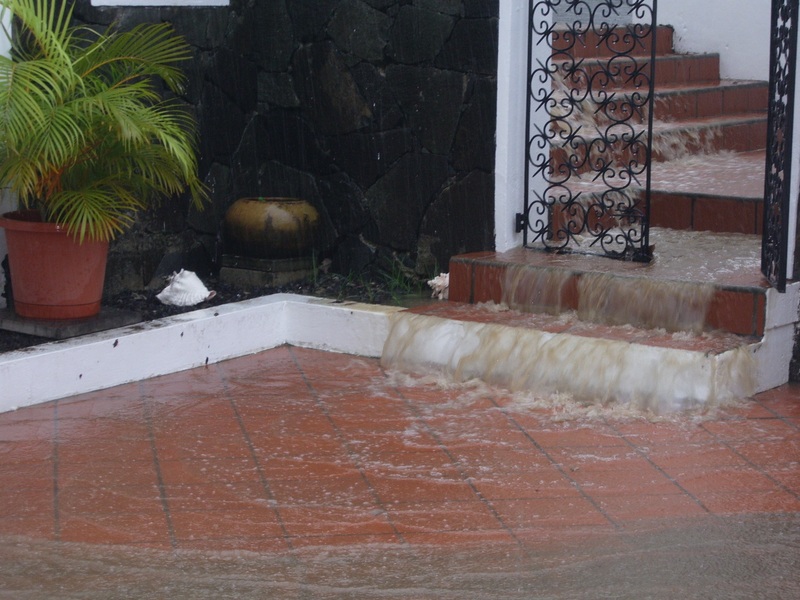 In St Lucia, our house was flooded by Tomas and the storms that came afterwards. We actually missed this one as we were in Miami at the time, but came home to find the remnants of the 6 inches of mud that had filled our kitchen. Of course bad weather can happen everywhere – we’ve had tornadoes and terrible flooding in the UK in the last few years. But it’s only since living in the path of hurricanes that I’ve really come to appreciate the importance of understanding what it means when a small swirl on the other side of the Atlantic starts to gain in size, day-on-day, and then gets a name, then a Force number…. I intend to come back to this topic in a future post or posts and would be interested to hear your stories. Have you lived through any bad weather events while living overseas? How did you deal with it? Have you ever had to be evacuated because of a storm or other weather-related event?